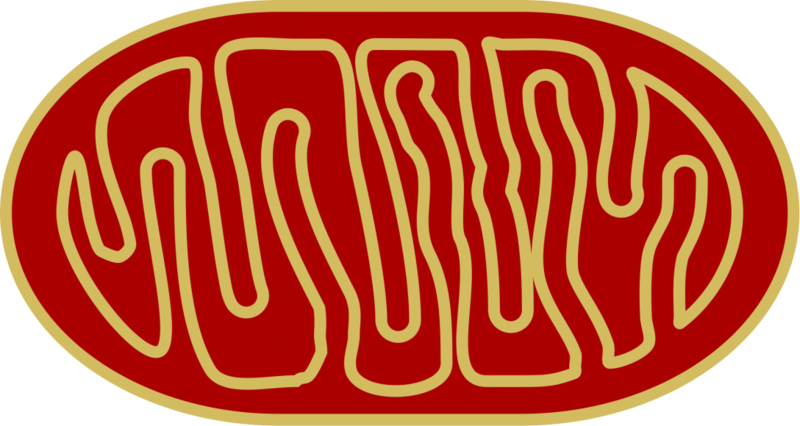 Mitochondria are small intracellular organelles with a diameter about the size of a few microns. They serve crucial functions for cells such as the production of energy in the form of ATP and control levels of intracellular Ca2+. Muscle cells and neurons are particularly dependent on mitochondria integrity for their survival as these cells require a high demand of energy to function. Thus, it should not be surprising that mitochondria damages lead to cardiac diseases and neurological disorders, such as Alzheimer’s and Parkinson’s diseases. Mitochondria are dynamic organelles that move inside cells, divide independently from the cell cycle, fuse and change morphology during their life. Their shape can change through the combined action of two processes called fission and fusion. Mitochondrial fission promotes the renewal of mitochondria and their proliferation whereas fusion allows mitochondria to interact with each other and elongate, facilitating mitochondrial movement and distribution. Through these transformations, mitochondria modulate their functions. For instance, elongation is often linked to increased ATP production and energy for the cell. When there is high demand for energy, mitochondria divide. Energy production by mitochondria is regulated by an inner membrane. This inner membrane folds creating cristae (Fig. 1A, white arrow). Cristae are specialized bag-like compartments for the diffusion of molecules that are essential for the ATP production. Cristae are also loaded with proteins involved with ATP production, such as ATP synthase. Neurons are highly energy-dependent cells and require ATP at distant regions such as axonal and dendritic synapses. Mitochondria help neurons meet the high energy demands by traveling across a long distance. Healthy mitochondria are particularly important for the survival of neurons as revealed by the correlation between neurological diseases and mitochondrial damaged and disrupted cristae. A disease that has recently been linked to a deficit in mitochondrial function is human immunodeficiency virus type-1 (HIV) -associated neurocognitive disorder (HAND). HAND, which is caused by HIV infection of brain cells, is characterized by significant impairments in executive function, memory, attention, multitasking, and judgment. Such neurological alterations could be related to the ability of HIV to alter how neurons communicate with each other through synapses. The role of mitochondria in the etiology of HAND is still under investigation. Interestingly, postmortem brains of HIV-positive individuals with HAND exhibit signs of impaired mitochondrial metabolism. Furthermore, when compared to brains of HIV positive subjects with no cognitive alterations (Fig. 1A), HAND brains contain mitochondria with abnormal morphology, exemplified by the loss of cristae (Fig. 1B). The question remains as to how HIV promotes mitochondrial impairment. This is an important issue because even with the advent of combined antiretroviral therapy to diminish HIV viral load, over 50% of HIV patients in the United States still develop HAND symptoms. Notably, clinical studies have shown that some drugs composing the cocktail of the antiretroviral therapy can damage mitochondria. It is important to recall that HIV does not infect neurons and thus, it cannot directly damage neuronal mitochondria. Yet, experimental evidence has shown that several viral proteins induce mitochondrial damage. These proteins, which are produced by infected cells, affect mitochondrial function in different ways. For instance, the HIV envelope protein gp120, which is crucial for the entry of the virus into cells, reduces mitochondrial movements and the production of ATP. This protein, when expressed in mouse brain, increases the size of mitochondria, which appear elongated and with fewer cristae (Fig. 1D) when compared to mice control (Fig. 1C). Furthermore, the HIV transcription activator, Tat, reduces mitochondria function by altering the fission process and decreasing mitochondrial membrane potential, which is an index of the capacity of mitochondria to generate ATP. Defects in mitochondrial movements and perturbations to their energy production are known to impair neuronal function and have been linked to neurodegenerative diseases. The recent discovery that the function and morphology of neuronal mitochondria in HAND subjects are altered has expanded the interest in mitochondrial research pertaining to neurological alterations caused by HIV. Indeed, mitochondrial biology could be a new critical area of investigation to the development of a new therapy for HIV positive subjects. These findings are described in the article entitled Human Immunodeficiency Virus Promotes Mitochondrial Toxicity, published in the journal Neurotoxicity Research. This work was led by Italo Mocchetti from Georgetown University Medical Center. Neurotrophic factors, and especially the neurotrophins, are proteins known to play a key role in neuronal repair, maintenance and differentiation as well as to model our neuronal circuitry. Therefore, neurotrophins are essential to our ability to move, feel and think. The primary focus of Dr. Mocchetti's research program at Georgetown University is to study the neurobiology of the neurotrophins. The ultimate goal of such program is to use these proteins as potential biotherapies for human neurological disorders, such as Alzheimer's and Parkinson's diseases, stroke, trauma and AIDS dementia. Specifically, Dr. Mocchetti’s group is characterizing the neuroprotective effects of a major neurotrophin, Brain-Derived Neurotrophic Factor (BDNF). Using neuronal cultures, viral vectors and mutant mice, they have recently demonstrated that BDNF reduces neuronal cell death evoked by HIV-1 proteins, most likely by down-regulating chemokine receptors responsible for mediating viral neurotoxicity. Based on these results, Dr. Mocchetti's group is currently studying synthetic compounds that mimic the neurotrophic effect of BDNF while being able to cross the blood brain barrier (BBB). Using transfected cell lines and technique probing different signal transduction pathways, his group has recently demonstrated that gangliosides, compounds able to cross the BBB, indeed mimic the neurotrophic effects of the neurotrophins. These exciting results raise a legitimate hope that gangliosides and potentially other compounds yet to be identified could be used as therapeutic tools in neurodegenerative diseases.